Just because it's Girl Scouts season, there doesn't have to be a time stamp on all our favorite cookies. 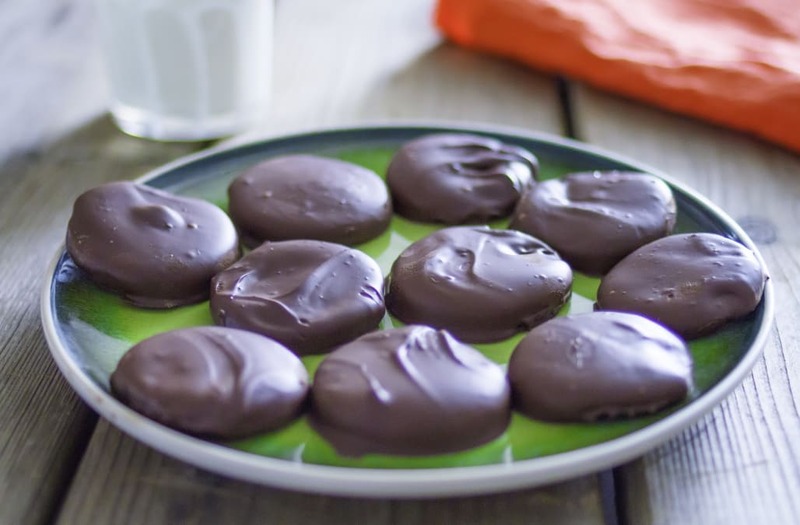 Instead, whip up a batch of these simple thin mints at home! Perfect with a glass of milk, this indulgent recipe is a must-have all year round. In a bowl, mix flour, baking powder and salt. Add in sugar and egg. Pour in vanilla extract and 1 tsp peppermint extract. Pour dry mix into wet mix, creaming as you go. On a flat surface, form into 2 separate mounds. Seal and refrigerate for 1 hr. Cut into 2 inch circles. In a bowl, melt semi sweet chocolate. Add in 1/4 tsp peppermint extract.